A Leopard is a vertebrate. Its body covering is fur.A leopard moves with four legs. It is a mammal. A leopard is warm blooded. Its predators are Lions and Jaguar.leapords are mammals. Were a leapord lives is Africa and asia. A leapards shelter is rain forest. Leapards eat fish. A leapords water sorce is a lake. A Leapards life cycle starts with a cub then a youth then a adult.A leapords grows up with food& water and there mom and dad taking care of them. A Leopard has paws for walking. A leapord has ears for hearing. A tail to show how it feels. A nose for smelling.Claws for climbing.Fur to keep the leapard warm. Leopards have the wildest range of all wild. A leopard weighs 160 pounds. Leopards bring there meals up into trees. So lions or a jaguar won't steal it.They live up to 15 to 20 years old in the wild.Cubs learn to hunt.And pertect themselves.Leapards learn how to hunt by catching mice and rabits.They weigh up to 60 to 200 pounds.Leapords have sharp teeth and long claws.there kilagrams are 27 to 91kilagrams.Leapards are good swimers.Leapards pertect there babys from enimes is bringig them in trees.Black panthers are leopard. 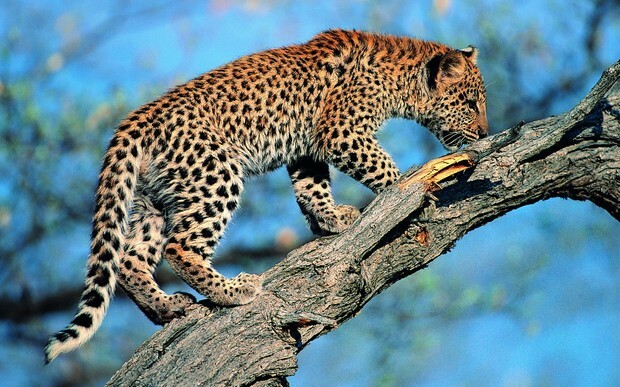 up here is a picture of a leopard.